Bottom line: I believe the November midterm results are going to be driven by geography. 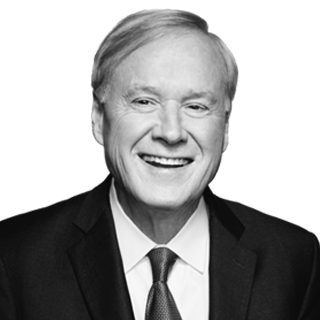 By Chris Matthews, Host, MSNBC’s "Hardball"
Thursday's primary marks the last major contest before Election Day 2018. Fifty-four days from now, on Nov. 6, the country will completely re-populate the United States House of Representatives. All 435 seats will be emptied, and then refilled by the voters either with an incumbent or a newcomer. I like to portray it this way because it forces the voter to realize the enormous power granted them by the Constitution. Whether they like the feeling or not, it’s a reminder that we, the voter, dictate on a regular basis the entire membership of the U.S. House. Current evidence suggests that voters may elect a majority of Democrats this year, flipping the House. I say that based on two national polls — the Washington Post/ABC News poll and the USA TODAY/Suffolk University Poll — which both show Democratic party candidates generally with a double-digit edge over Republicans. Bet on a Democratic House come next January — with Democrats controlling the schedule of legislation and the chairmanships of all the committees. Part of this could be attributed to the many more Republican members of the House who have chosen not to seek re-election. So, bet on a Democratic House come next January — with Democrats controlling the schedule of legislation and the chairmanships of all the committees. The latter is important because each of those chairs is armed with the power of the subpoena, able to call any witness and able to schedule any measure, including impeachment proceedings against the president. It's the Senate side that I expect to be the arena of suspense on election night. The Senate is now controlled narrowly by the Republicans. They've got 51 senators; the Democrats have got 49. If the Democrats pick up two seats this November they win "control" — which means they can stop any Trump nominee to the Supreme Court, among other things. If Democrats play it right, they could even use this narrow majority to force the selection of a nominee that would end — perhaps even reverse — the high court's current lurch to the right. There are ten Senate races that I'll be watching closely for the next 50-odd days — "The Hardball Ten." Let's start with the seats the Democrats need to hold: Sen. Bill Nelson in Florida; Sen. Joe Donnelly in Indiana; Sen. Claire McCaskill in Missouri; Sen. Joe Manchin in West Virginia; Sen. Heidi Heitkamp in North Dakota; Sen. Jon Tester in Montana. Now to the pick-up opportunities: Rep. Kyrsten Sinema, who is challenging a Republican in Arizona; former Gov. Phil Bredesen who is challenging a Republican in Tennessee; Rep. Jacky Rosen who is challenging a Republican in Nevada; and, last but not at all least, Rep. Beto O'Rourke, who is challenging Sen. Ted Cruz in Texas. To win control of the U.S. Senate, the Democrats may need to win only a majority of these ten contests. That's the good news. The bad news is that all but one of these races are in red states — states Trump won in 2016. Bottom line: I believe 2018 is going to be an election driven by geography. A blue wave is going to roll through the suburbs of the country's big, liberal cities. Men and women who may not have supported Hillary Clinton in 2016 are going to vote Democrat this time around. 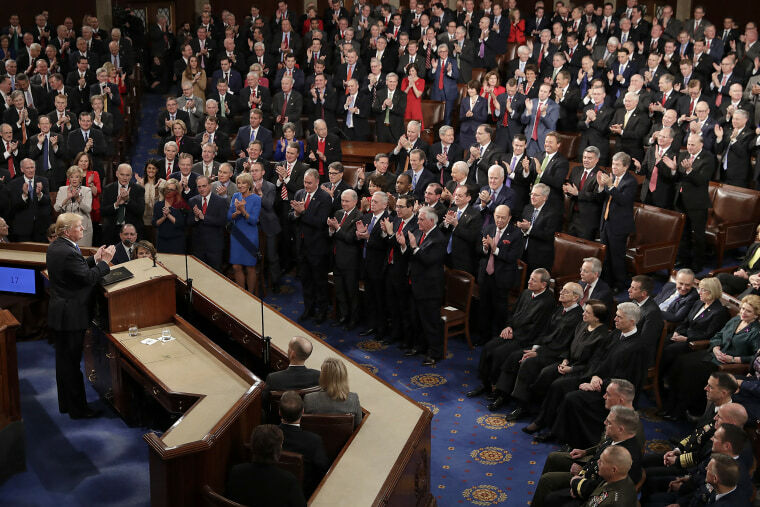 This shift will gift control of the House of Representatives — and all the power that comes with it — to the Democrats. But out in the red states, the results remain a question. There, in the country's wider geography, the blue wave will be checked by continued support for Trump. It is there, beyond the coastal suburbs, where the final battle of 2018 will be fought. It is there that the future of the Senate will be decided. For this reason, "Hardball" will spend the weeks between now and election night focusing on those ten big battles for the U.S. Senate. As of this writing, I see momentum favoring Democrats nationally. If this swing peaks in late October, there is a chance that a wave will grow into an historic sweep.